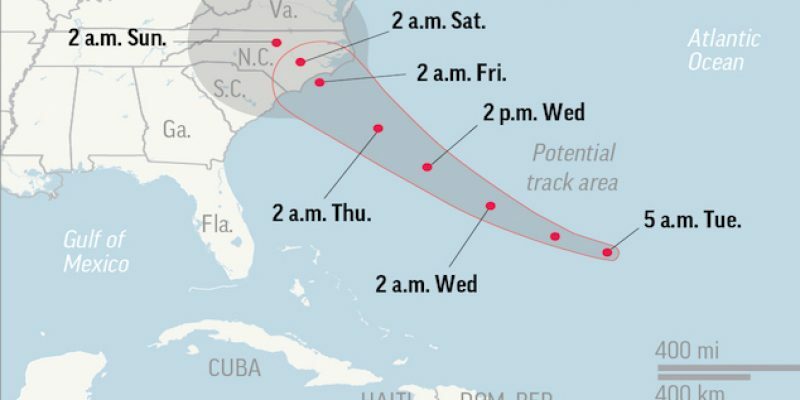 The Carolinas and Virginia are bracing for Hurricane Florence, and coastal residents have begun evacuating today before the Category 4 hurricane makes an expected landfall later this week. Virginia Gov. Ralph S. Northam ordered residents in low-lying areas along the coast and waterways to begin evacuating by 8 a.m. the Associated Press reported. Tomorrow 1,500 National Guard troops will be deployed around the state “because we expect the rains to spread hundreds of miles,” said Jeff Caldwell of the Virginia Department of Emergency Management. 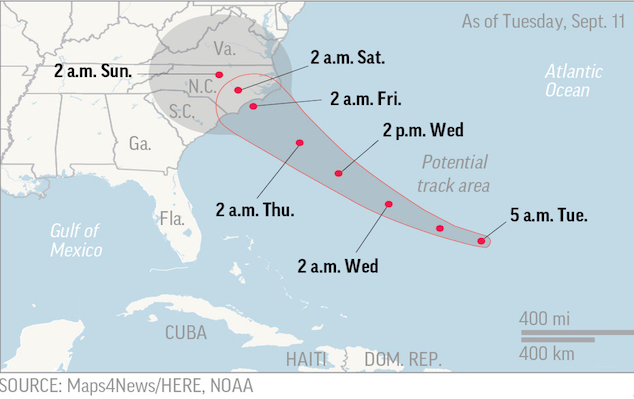 According to NOAA, the path of the hurricane should hit the Carolinas and Virginia this week.